The last five years has seen a huge explosion in food trucks. With the average cost to start a restaurant being around $750,000 a food truck is a good entry point for those with culinary aspirations. The food truck scene in San Francisco is as diverse as our restaurants, and there is a variety of quality fare representing cuisines from all across the globe. Nearly every week I make the trek to SoMaStrEat Food Park. There are usually around 10 different trucks and they change daily, so there is always something new to try. On one of my latest trips I checked out Me Méli, which offers loukoumades, a traditional Greek dessert. The foundation of this dish is fried dough balls, which is reminiscent of a donut holes but not nearly as heavy. As tradition states the loukoumades are tossed in a honey syrup and covered in cinnamon and walnuts. We also added Nutella because it makes everything better. Me Méli’s loukoumades are just rich enough to satisfy a sweet tooth but aren’t overindulgent. 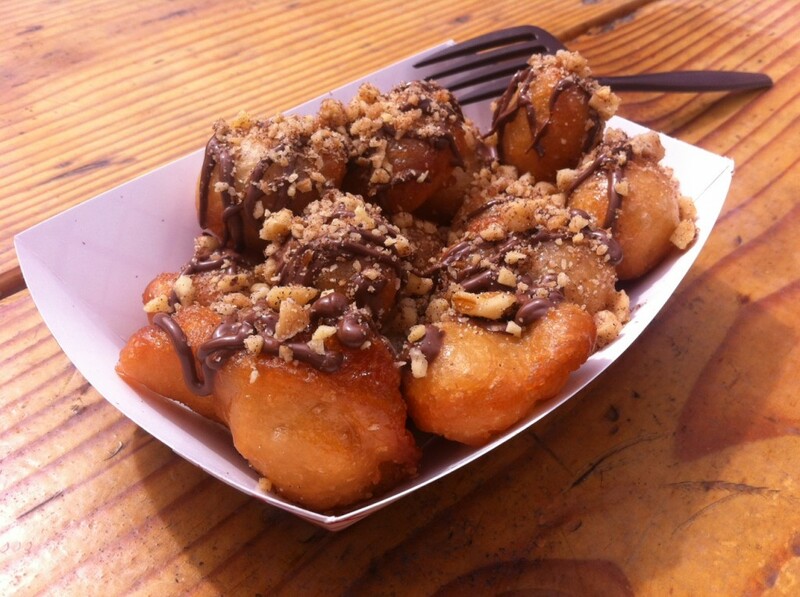 It was the perfect sweet ending to another culinary adventure at the street food park.